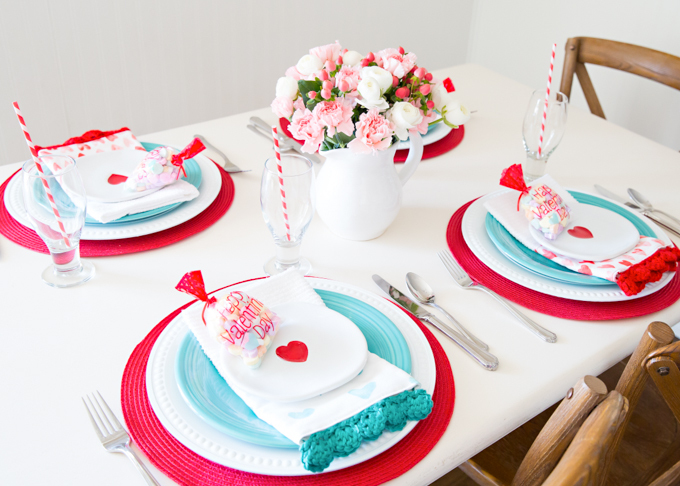 Aqua isn’t a traditional Valentine’s table, but it certainly is a fun change from the typical red and pink! 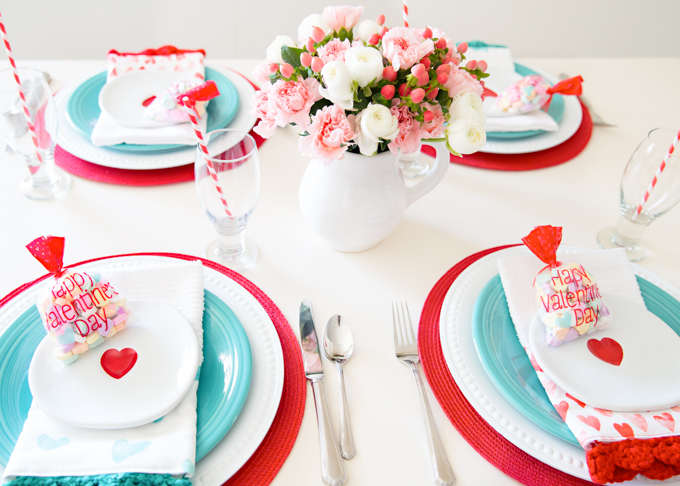 I’m pretty much in love with this Red & Aqua Valentine’s Day Tablescape! As with most tables that I set, I typically get my inspiration from one item and build on it from there. I was recently introduced to a new friend, who makes these adorable bar mop towels. Her towels can be used as kitchen towels, but also as a napkin! You can find these adorable bar mops towels at The Vintage Home Studio. 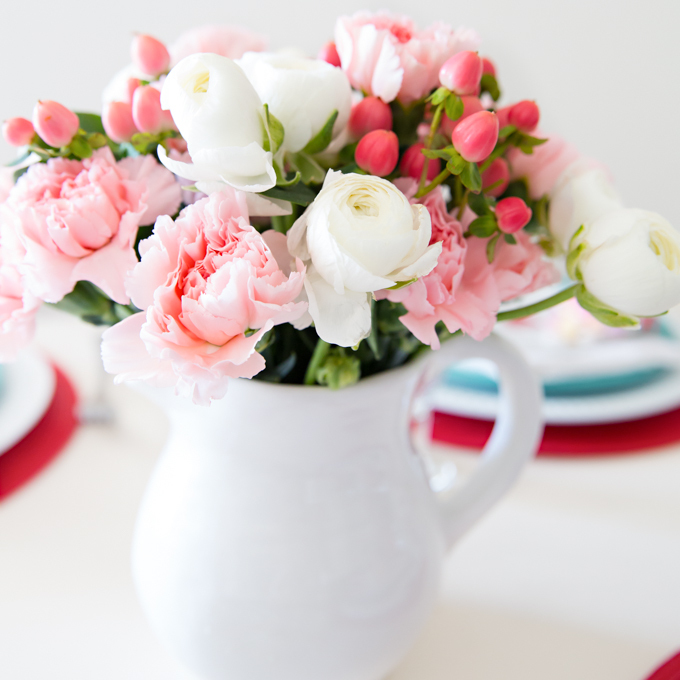 I knew, absolutely without a doubt that they were the makings of an adorable tablescape! The red placemats and white charger plates are both from Pier 1 and the red heart plates are a new addition this year from William Sonoma. I borrowed my own aqua Fiestaware from our little condo that is our “home away from home” down in Carpinteria, CA. 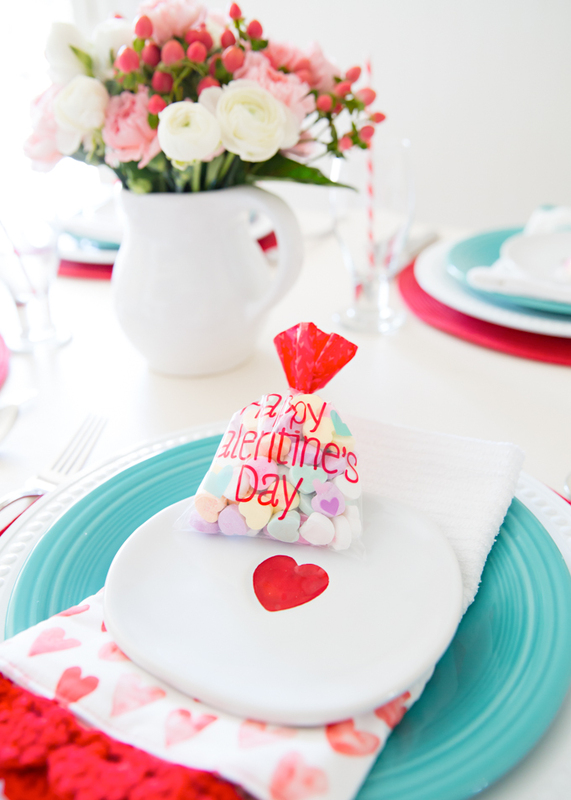 And because it’s always fun to have a little party favor for your guests, I filled small cellophane bags with a few conversation hearts. The florals are simply a couple bunches that I picked up at our local flower shop and quickly arranged into a little white. 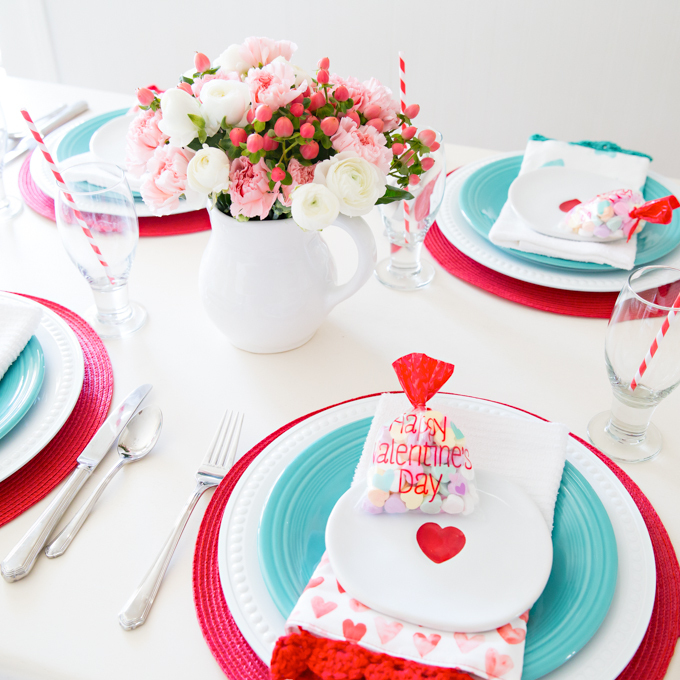 I hope you enjoy the simplicity of my Red & Aqua Valentine’s Day Tablescape and enjoy your Valentine’s Day!